Aww, he's drawing an Apple! While some may consider the iPad’s Smart Cover to be too expensive and flimsy, Apple is obviously investing time and effort into the accessory. 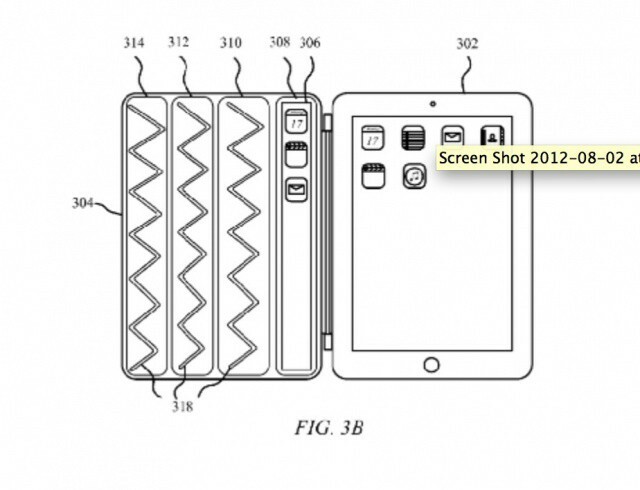 A recent patent has been uncovered that details an enhanced Smart Cover with a secondary touch display. Like Microsoft’s Surface tablet, the unreleased accessory would also have a keyboard embedded in the cover with virtual keys for typing. 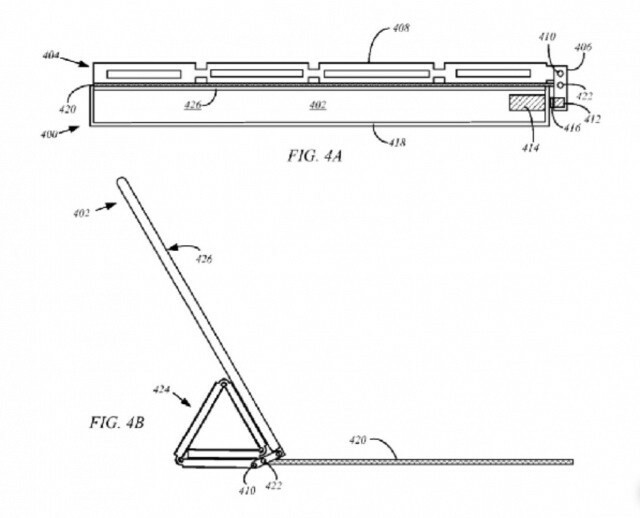 By drawing power from the tablet inside, this patented Smart Cover design could extend the iPad’s screen with extra room for drawing, notifications, and icons around the device’s bezel. 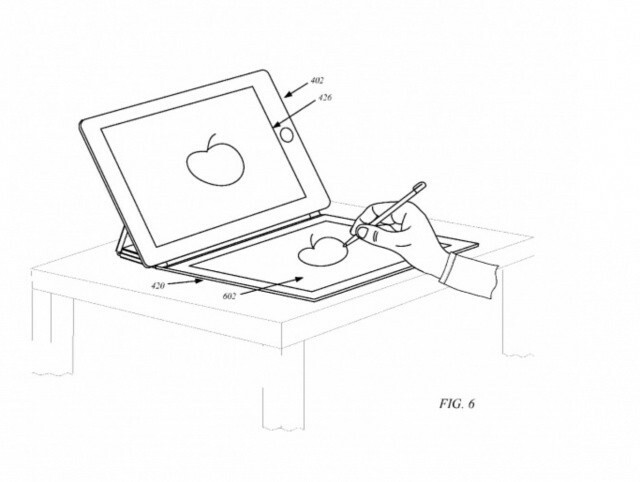 The patent also highlights using embedded solar cells and RF antennas to power the secondary display and keyboard. Sounds futuristic. An accessory device arranged to communicate with a host device by way of a communication channel, the host device comprising a host device display arranged to present visual information, the accessory device comprising: a flexible flap having a size and shape in accordance with the host device display, wherein at least a portion of the flexible flap is covered by a flap display configured to present visual information; and a connecting portion, the connecting portion arranged to provide at least a communication channel arranged to convey information between the host device and the accessory device wherein at least some of the information is presented visually on the flap display. 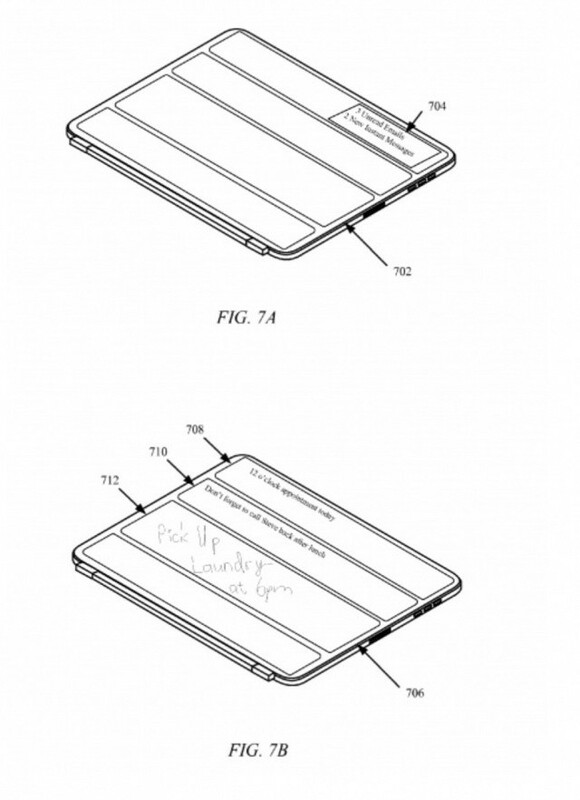 The patent is mostly made up of superfluous legal jargon, so what you need to know is that the Smart Cover could get a whole lot more awesome in the years to come. Don’t expect it to get any cheaper, though. The cover would still fold back like it does now. You could even see notifications and draw on the outside. Notifications and important stuff like that would be shown in a cool way.